Please read this entire page if you are interested in renting out the Fieldhouse. It will answer most of your questions. You can use the same permits for the sports fields and Town Square, but this page focuses mostly on the Fieldhouse. The Sorauren Park Fieldhouse is owned and operated by the City of Toronto, Parks, Forestry and Recreation Department (PFR). Groups and individuals wanting to rent the Fieldhouse must submit a permit application and follow all the permit regulations. This page will help you get started, and you will find below downloadable versions of the various permit forms (in PDF format). All forms should be emailed to maxwayne.christy@toronto.ca, with “Tentative Permit #” in the subject line. Alternatively, you can visit the Parkdale Community Recreation Centre at 75 Lansdowne Avenue, during open hours. The Friends of Sorauren Park does not issue permits.Volunteers run this website as a community service only. We recommend you read this entire page to avoid delays and disappointments. The City of Toronto maintains city-wide permit policies. This web page offers condensed versions of the policies but is not a replacement for the official policies. In all cases, the City’s official policies and rates supersede anything that may appear on this web site. At this time, the Fieldhouse is not available for groups serving alcohol, e.g. team parties. Exceptions may be made for wine-and-cheese-type events like an art show opening. Permits are issued at the discretion of Parks, Forestry and Recreation at all times. If you have any questions, you should email mchristy@toronto.ca. You may also try calling the Parkdale Community Recreation Centre at 416-392-6696, which is responsible for administering the Sorauren Park Fieldhouse. What Fieldhouse facilities can I rent out? 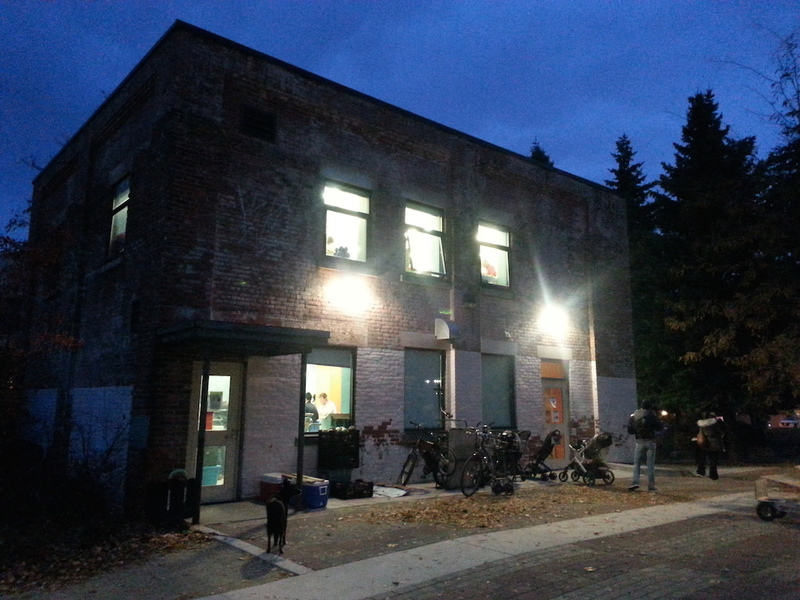 The Sorauren Park Fieldhouse is a two-storey building with approximately 1,000 sq. ft. of wonderfully lit space on each floor. It has two washrooms and a kitchen on the main floor equipped with a refrigerator/freezer, microwave, coffee machine, kettle, dishwasher, sink. You should bring your own dishes and washing-up gear. Currently, the main floor also has a desk, folding tables and chairs. Upstairs has some storage cabinets and a nice big double-sink suitable for arts and crafts, but no other furniture at this time. You should speak with Parks, Forestry and Recreation staff at the time you submit your permit(s) regarding any furniture requests. As a general rule, the Fieldhouse will only be rented to one group at a time (e.g. both floors), to prevent noise, space and washroom conflicts. However, if two groups want the Fieldhouse at the same time and the uses are not conflicting (e.g. a meeting upstairs and a meeting downstairs), and both groups are OK with it, then permits may be issued to both groups, at the discretion of PFR. Fieldhouse occupancy is officially limited to 20 (downstairs) and 25 (upstairs), or a total of 45 people at any one time. Occupany rates are determined by the number of washrooms available (2). The exterior landscaping includes a patio connected to the Town Square. Please call PFR if you would like to permit the space outside the Fieldhouse as well. Who can rent out the Fieldhouse? 1. Resident (Toronto-based) organizations or teams providing recreational, cultural or leisure-focused activities aimed at children and youth, on a not-for-profit basis (ages 0 – 18). Examples: a local non-profit children’s drama group; parent-and-tots group. 2. Resident (Toronto-based) organizations or teams providing recreational, cultural or leisure-focused activities aimed at seniors (60+) or adults (18 – 59), on a not-for-profit basis. Example: A local non-profit games club. 3. Non-resident organizations or teams providing recreational, cultural or leisure-focused activities. Example: A group from Mississauga that has some Toronto members and wants space in Toronto. 4. Private Groups, Commercial Groups and Individuals. Examples: Parents who want to rent out the Fieldhouse for birthday parties (play the Trees of Sorauren LEAFO game at your party! ); a for-profit art class; a business that wants to rent meeting space for a workshop. If you aren’t sure which category your group falls into, email mchristy@toronto.ca or call the Parkdale Community Recreation Centre office at 416-392-6696. All revenue collected as part of the permit process is directed to the City of Toronto PFR general revenues. How do I submit a permit application? You should submit your permit application(s) as far in advance of your event as possible to ensure enough time for processing… and also to get dibs on the space! Seasonal permits for things like on-going classes are typically issued for two separate seasons: September to May; and June to August. Note that the Fieldhouse is classified as a “Type C” facility (room); you will be asked to indicate this on the permit forms. Alternatively, you may also bring the completed permit to the Parkdale Community Recreation Centre office, 75 Lansdowne Avenue, during open hours. Just as it sounds. This is what you need if you want to rent the space for a one-time meeting, event, birthday party, etc. If you are a for-profit group or non-profit organization that wants to use the Fieldhouse on a regular basis (e.g. on-going classes), you need to fill out this form. Some groups may need to show proof of insurance; Parks, Forestry and Recreation will notify you if that is the case. If you want to use the Fieldhouse on a regular basis, e.g. on-going classes, you also need to fill out this form. If you are a membership-based group (e.g. a team or club), you need to fill out this form. It may help the City set the correct fee, depending on the residency of your members/players (Toronto or non-Toronto). There is a process for settling any conflicts or disputes over space rental. The volunteer administrators of this web site cannot settle disputes nor issue permits. How do I get access to the building once I have a permit? 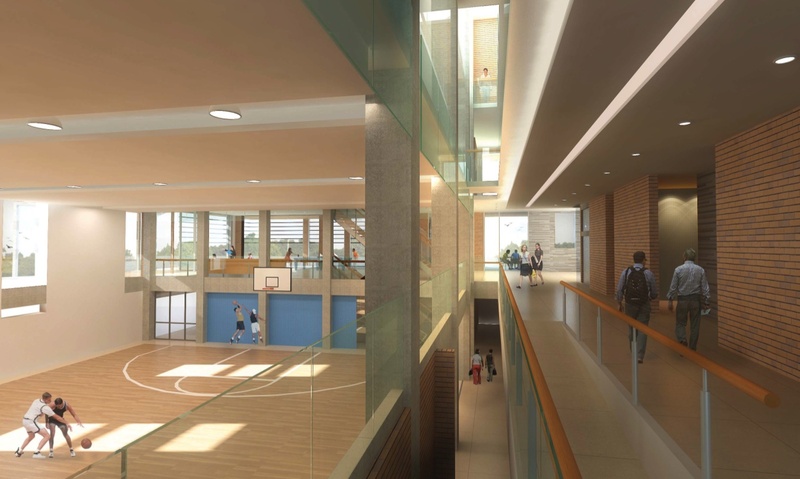 In most cases the building will be opened for you by Parks, Forestry and Recreation staff. Full access details will be provided when your permit is approved. Note: The Friends of Sorauren Park is not responsible for providing access to the Fieldhouse. The Fieldhouse is owned and operated by Parks, Forestry and Recreation. As a citizen, you are a part-owner of the Fieldhouse, so treat it like you own it, because you do! Please make sure all doors are locked when you leave. Tug on the doors to check. The kitchen, floors, cabinets, paint, furniture have all been donated by generous local businesses and individuals. The appliances were purchased with community funds raised by the Friends of Sorauren Park. Please look after the building and clean up after yourself. PFR and the Friends of Sorauren Park welcome your feedback about the Fieldhouse and how to improve its operations and facilities. I came by the Parkdale CC to drop off a fieldhouse rental permit application but no one answered during the day on Tuesday. What is the best time to come by? Hi Shannon, sorry we are late replying to you. Permit applications should be brought to Parkdale CC as you tried. The centre’s number is 416-392-6696 and opening hours should be on the voice-mail. If you are really stuck, you can try the Masaryk-Cowan Community Centre just south of Queen Street in Parkdale. Hope that helps? PS: Using the Contact form on this site usually generates a quicker response via email compared to comments left on the site, which are not checked as often by the volunteer web team. I love the park, and I love the use it gets… but this Sunday afternoon there was a softball game going on and when I and my daughter walked over and stood on the edge to play some of the team members were very confrontational with their ask to keep out. They yelled at me that my kid’s life was in danger and I should leave the area. I would expect a polite Canadian to say something more like ” hey buddy this might be a bit dangerous for your kid would you mind moving further away?”. Maybe they should have martials and put hazard tape up or something if they indeed have the entire park booked and if they can’t just be nice and normal with requests. And I wonder if they have life insurance coverage for killing kids? As we left someone hit the ball high and I (stupidly because I was annoyed) said jeez I hope that doesn’t kill some kid and was told to stop embarrassing myself. Sorry this happened to you. The group using the baseball diamond would have taken out a permit with Parks, Forestry and Recreation and would have provided insurance. Complaints about permit holders can be communicated to Parks, Forestry and Recreation through the Parkdale Community Recreation Centre office, 416-392-6696 or by calling 311 with date, time and location details. 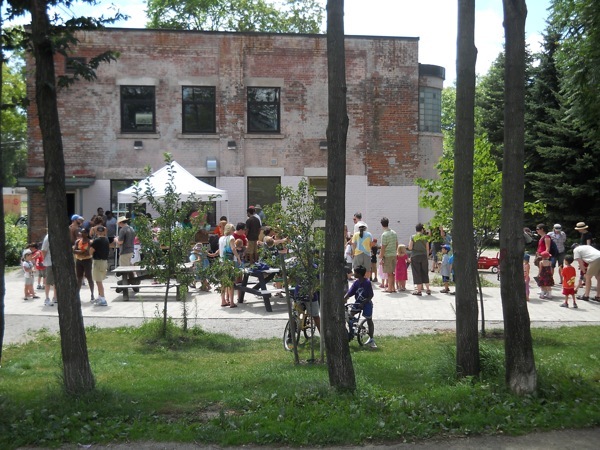 The Friends of Sorauren Park advocates for safe, enjoyable and responsible use of the park by all.